Here at Tara Fine Jewelry Company, we are Atlanta Jewelers that offer the city of Atlanta Engagement Rings and Designer Jewelry that never falls short in quality or style. A must-have for your fine jewelry collection, you will love the versatility of these Roberto Coin 18k Yellow Gold Small Hoop Earrings! Your Atlanta Jeweler for Roberto Coin accessories and beautiful Diamond Engagement Rings in Atlanta, Tara Fine Jewelry Company promises luxurious jewelry designs of the finest quality and fashionable style. These wonderful Roberto Coin Earrings showcase a charming hoop design, perfectly fashioned from rich 18k Yellow Gold. Classic and truly radiant, these Roberto Coin Hoops are sure to be your favorite go-to accessories for years to come! 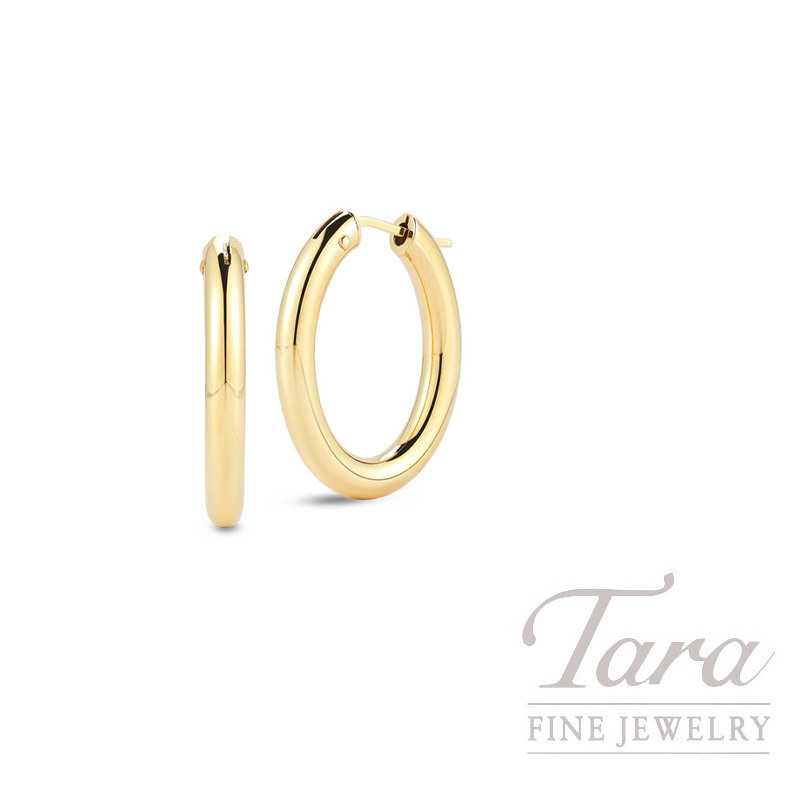 At Tara Fine Jewelry Company, an Atlanta jeweler with over 30 years of experience, you will find our luxurious custom jewelry designs and the most prestigious designer brands in the fashion world, including: Forevermark, Mikimoto, Roberto Coin, and Montblanc - to name a few. In addition to these exclusive brands, Tara Fine Jewelry Company also specializes in the most beautiful Diamond Engagement Rings in Atlanta. Our luxury designer brands are sure to please all fine jewelry connoisseurs!